With plenty of space for couples, the King size Stearns and Foster Lux Estate Hybrid Mary Leigh Luxury Plush is the top-tier mattress in the plush category of Stearns and Foster Hybrid models. 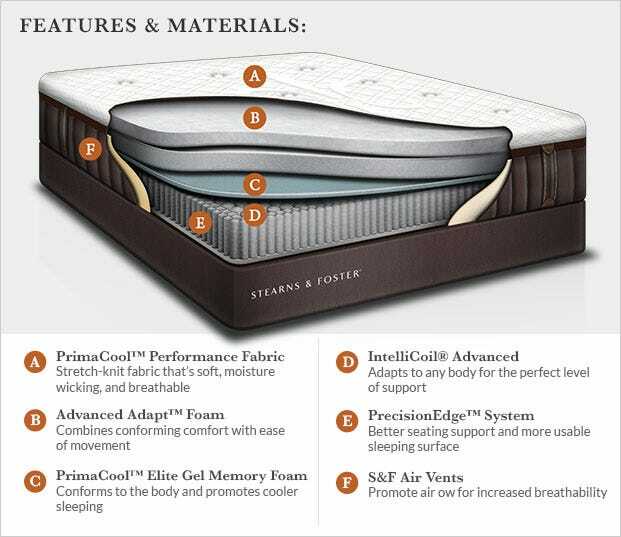 In addition to consisting of high grade materials, this mattress also has a medium soft Comfort Scale rating of 6.5. This is a very versatile comfort score that demonstrates it is soft enough for most side sleepers yet firm enough for back and stomach sleepers. Noteworthy components start right at the top with the PrimaCool Lux-Stretch Performance Cover with TENCEL. TENCEL is one of the newest comfort materials that is designed maintain a soft feel and wick away moisture. Comfort components include PrimaCool Elite Gel Memory Foam with cooling material, a highly conforming material that is uniquely designed to decrease pressure points so you toss and turn less, while also helping you rest comfortably cool. A layer of PrimaCool Gel Memory Foam and Advanced Adapt Foam promote a long comfort life and provide additional pressure relief. PrimaCool Gel Memory Foam is one of the most supportive-feeling memory foams available on the market today. The innovative IntelliCoil Advanced Coil System is the main support system. It uses a coil-in-coil design with a longer outer coil that contours and a thicker, shorter coil that provides solid support. This system is really beneficial if you're a light sleeper or sleep next to a light sleeper since it isolates motion transfer really well. 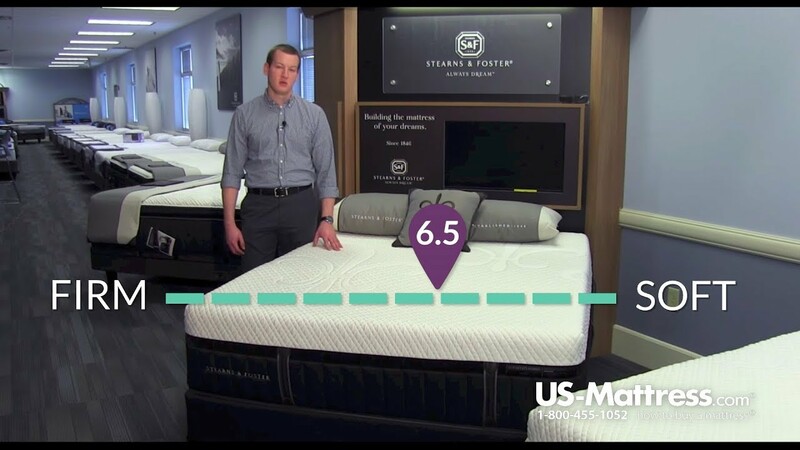 The Precision Edge System is changing the market due to its ability to ensure consistency in comfort right up to the edges of the mattress. To sum up, if you're searching for a luxury hybrid mattress and you enjoy a medium feel, the King size Stearns and Foster Lux Estate Hybrid Mary Leigh Luxury Plush is an outstanding choice. This mattress is carefully crafted, and it comes with a 10-year warranty to ensure your satisfaction.